The emergence of public health informatics as a professional specialty is part of a larger development of informatics in related health fields, such as medicine, nursing, pharmacy, and dentistry. Interest in informatics as a specialty in these areas reflects the importance that information collection, analysis, evaluation, and utilization now play in the health care sector. New public health threats such as bioterrorism and influenza pandemics will demand an improved infrastructure for disseminating information about best practices. In response to the new role of health-related informatics, journals have been created in medicine and nursing informatics to service the growing professional audience in these fields. 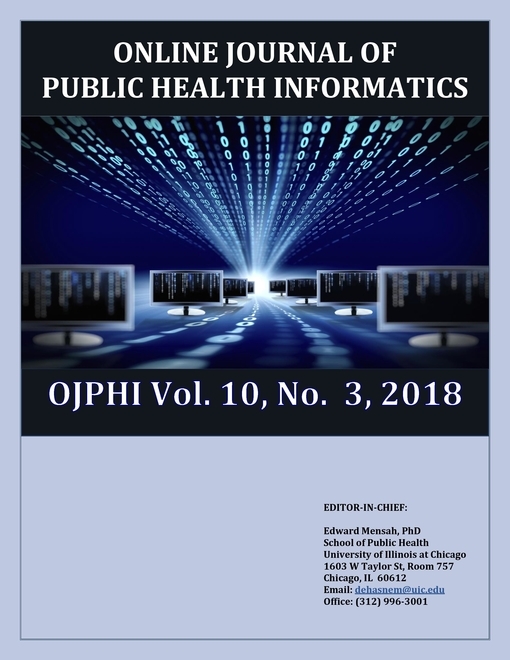 The Online Journal of Public Health Informatics (OJPHI) is the newest of these specialty journals. The mission of the journal is to satisfy the growing need for public health informatics knowledge portal and knowledge base of best practices among health practitioners, researchers, educators, and policy makers in developed and developing countries. OJPHI also explores the socio-economic, ethical, and legal impacts of informatics applications in public health. The journal will be published three times a year. It is an open access, open source, peer-reviewed journal based on Open Journal Systems.